Traveling to Argentina without visiting Buenos Aires should be considered a ‘criminal offense’. This huge city is the pulsating heart of the country containing its political, economic and cultural centres. Besides, it is a fantastic place to explore, with it’s European charm (for good reason it is known as the Paris of the South) combined with it’s South American vibe. In Buenos Aires, examples of modern architecture stand directly next to gorgeous colonial buildings. The city contains beautiful parks and there are numerous museums. Tiny, cobbled alleys give way to large boulevards hthat are so expansive – it can take several minutes to cross on foot. Buenos Aires is packed with many cafés where the busy Porteños (that’s how people from Buenos Aires are called) enjoy coffee and medialunas (small croissants), plenty of bars and night clubs and milongas where tango is danced. Some of the best restaurants in the continent are located here including boutiques and markets for any budget and, to add just a little bit more of Argentinian spirit, the incredible Bombonera stadium where the most thrilling futból matches are played. 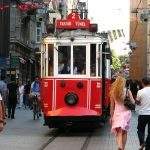 It is little wonder that most travelers fall in love with this incredible city and end up extending their stay there. To put it simply, Buenos Aires is one of the must visit places in the country. The following are just a few of the many things to keep visitors busy for a good week or so! Although the city widely spread out, the main tourist attractions can be visited in a few days. A good place to begin your exploration is Microcentro, which is known as the commercial heart of Buenos Aires. Trendy Porteños can be spotted here, all dressed up on their way to work. Not too far from the Microcentro is the Plaza de Mayo with it’s grandeur and symbolic value. As a former human rights lawyer I encourage people to visit this square where the mothers of the desaparecidos – the victims of the Argentinian dictatorship – would meet regularly to protect against the violations of the human rights committed by the dictatorship. 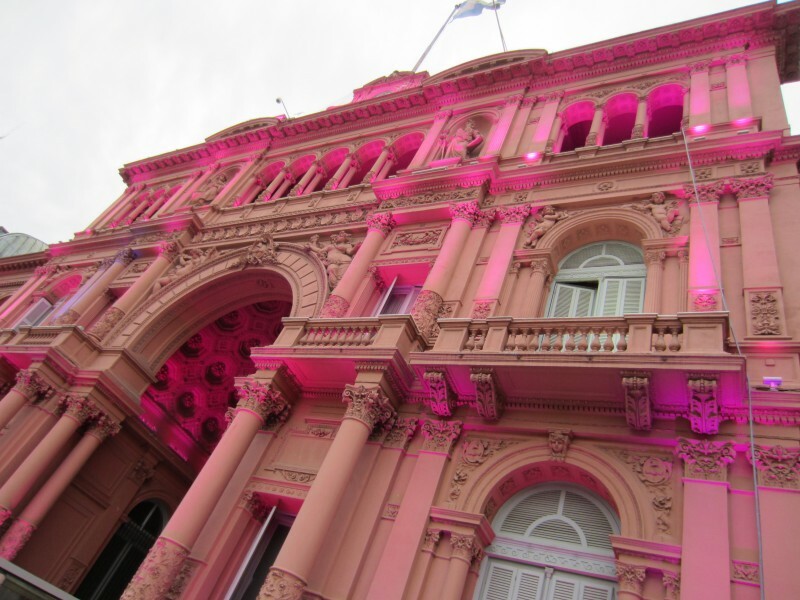 Facing Plaza de Mayo are the beautiful Catedral Metropolitana and the iconic Casa Rosada – yes, it really is pink! Casa Rosada is the seat of the Argentinian President and the political heart of the city. Interesting exhibits are often on display here. San Telmo and La Boca are very charming barrios. San Telmo used to be a posh area where the rich Porteños lived but, as a result of the yellow fever epidemic of 1870, they moved to Recoleta. With its cobbled streets and beautiful colonial buildings, San Telmo is now populated by artists and bohémien and it is well known for its Sunday antiques market and for the lively Feria de San Telmo (the local market). 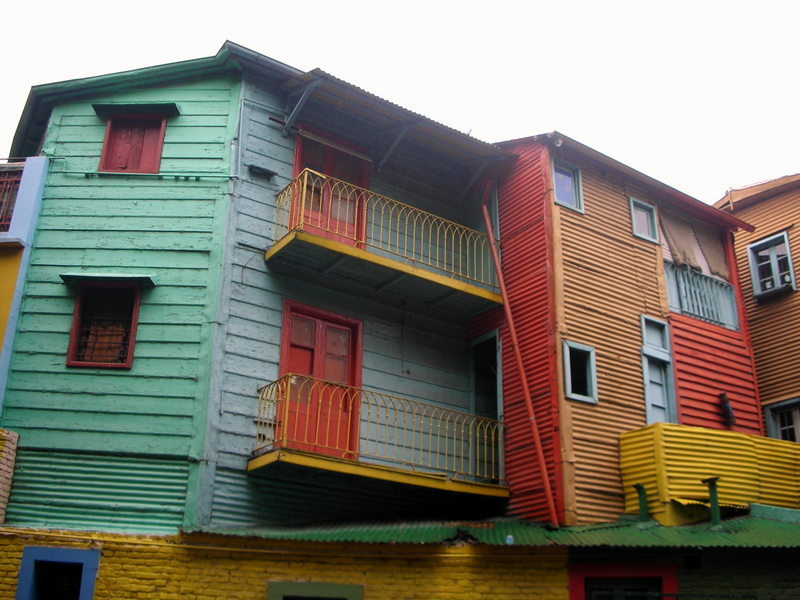 Italian and Spanish immigrants settled in La Boca during the 19th century. Today, La Boca is a major tourist attraction with its colorful Caminito; if one walks away from the main street there are some interesting finds. Other than for the Caminito, La Boca is also famous for La Bombonera, the Boca Juniors impressive football stadium. I enjoy walking around Recoleta; Avenida Alvear is packed with villas, shops and is also home to the famous historic Cementerio de Recoleta. Many well-known Argentinians are buried here, including the famous Evita Peron. The area of Palermo is packed with parks and is a pleasant place for walking. Porteños often crowd here on Sundays; they sit around drinking their mate, a bitter infusion made of yerba . This is a favorite drink of Argentinians, to the point that they carry around a thermos of hot water, the powder to prepare it, and a cup and the bombilla – the straw which is used to drink it – even when they travel overseas. Palermo Viejo is packed with impressive buildings, cobbled streets and larger boulevards. 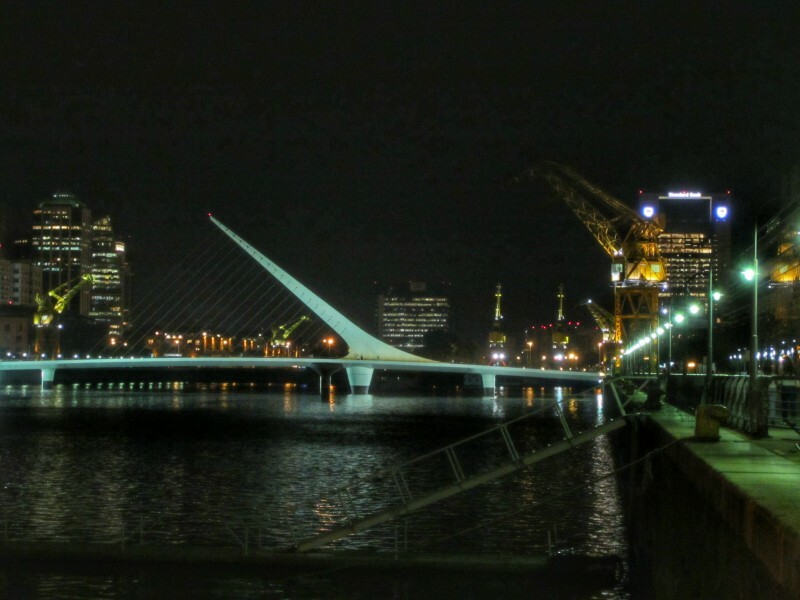 My favorite area in Buenos Aires to go for a walk is Puerto Madero. I love walking there in the late afternoon, and just observing the life here. This is where lots of Porteños go for a run. I enjoy Puerto Madero so much that I keep telling myself if I ever move to Buenos Aires this would be the neighborhood I would settle in. It has become the trendiest barrio in town, packed with luxury condos and trendy eateries, and real estate is incredibly expensive. Since I can’t live there, I may at least go for a walk. Puerto Madero used to be an old dock that at some point in time was abandoned but was completely restored in more recent years. It is also where the famous Puente de la Mujer, famous architect Calatrava’s bridge, is located. You must also come here at night to see the fantastic views. In the case of inclement weather I love going to one of the many museums in town. I really enjoy the Museo Nacional de Bellas Artes, whose exhibit includes pieces of Renoir, Monet, Picasso and Gauguin, and the Museum of Modern Art. Together with Montevideo in Uruguay, Buenos Aires is the birthplace of tango. This sensual, passionate dance follows captivating music and even though one may decide not to express its inner passions by dancing – simple watching the dancers is also enjoyable. Buenos Aires is packed with milongas – places where tango is danced. Some are so well known that they are more like theaters; others are smaller and more intimate. The experience is fun either way. They say Italians are obsessed with football. Compared to Argentinians, ours is just a mild interest. People in Argentina take fútbol very seriously and there is no better way to mix with the locals than watching a football match with them. After all, this is the country of Diego Armando Maradona, Lionel Messi and the rising star Gonzalo Higuaín. One of the most intense experiences to have while in Buenos Aires – whether one truly enjoys football or not – is to watch a match at La Bombonera stadium. The vibe is just incredible, especially if the match is a superclásico – Boca Juniors v. River Plate. I admit it: for as much as I love Buenos Aires, it can be a bit overwhelming, especially during summer when the heat is almost unbearable. Most Porteños actually leave the city for the weekend whenever they can, heading to their property at the beach or in the countryside. A favorite of the locals is El Tigre, a small city at about 35 km from Buenos Aires located on a river delta. The best way to get there is from Retiro train station. Once in El Tigre, it is nice to wander around the Puerto de Frutos, a small local market, or go on a boat ride along the delta for views of the traditional homes and the lush natural surroundings. Another excellent option for a day trip from Buenos Aires is to Colonia del Sacramento, in Uruguay, which can be easily reached by ferry. The fast ferry takes only about one hour and ‘catapults’ its passengers to another century altogether. The community of Colonia is located across across the Rio de la Plata. It is a UNESCO World Heritage Site. The city was founded by the Portuguese in 1680. It is fairly small therefore really easy to visit on a day trip. 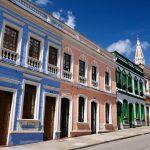 The primary places of interest are Barrio Histórico, with its old gate, Portón de Campo; tiny Calle de los Suspiros; perfectly kept colonial buildings; Plaza Mayor 25 de Mayo and Plaza de Armas and the ruins of the Convento de San Francesco. From the lighthouse the views of the Rio de la Plata are stunning. 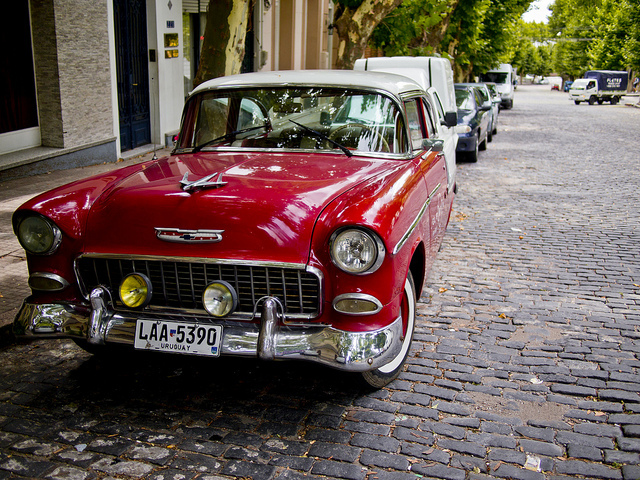 Another attraction in Colonia are the many perfectly kept vintage cars that can be spotted around town. Have you been to Buenos Aires? What were some of your favorite experiences here? Please share! In May 2008, we sold our Manhattan apartment to fulfill our retirement dream to travel the globe and visit all seven continents. Our first destination and plan was 3- months in Buenos Aires. 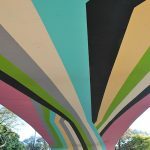 We were blown away with the busy city that has almost a population of 3-million, its architecture and plenty to do – – that we stayed 11-months before we shoved off for Europe. We rented an apartment in the Recoleta neighborhood maybe 5 blocks from Cementerio de la Recoleta (La Recoleta Cemetery), where we met many retired Americans living there – also more Americans living in Palermo. Just before our 90-day tourist Visa expired, we would meet a lot of Americans at the Puerto Madero terminal waiting for the Buquebus ferry to Colonia del Sacramento, Uruguay. 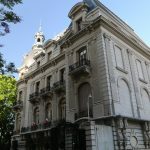 After we had our passport stamped, we strolled the old town to enjoy the flavor of the city, had a delicious lunch and caught the late afternoon ferry back to Buenos Aires – – good to stay for another 90-days because we left the country. We also did the same ferry trip to beautiful Montevideo to have our passport stamped so we could return and stay for another 90-days. However, we stayed in Montevideo for 3-days/nights. In all the time we spent in Buenos Aires the culture and cuisine were at the top of our list along with Friday nights at the Confiteria Ideal Tango Hall, watching the locals, pros and a very early morning show with more dancing until 3-4 a.m. We must have ate a cow enjoying thick steaks, ribs and sausage during our 11-months. Also, delicious was the Argentine roasted lamb with potatoes – not fries. 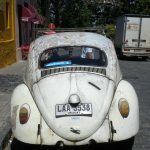 We loved living in Buenos Aires so much and enjoy traveling to Argentina’s beautiful Patagonia, Brazil, Chile, Uruguay, Ecuador and Peru – using our Recoleta apartment as a home base – – that we returned for another 7 months in 2010. Thanks for bringing back many good memories for us with your article. Michael – thanks for sharing about your experiences in Buenos Aires. Ill be stopping in BA quickly next week on the way down to Ushuaia – wish I had more time in BA.